hey man, it ain't over yet. I still haven't gotten anything good. And literally the ONE time I want duplicates to try and buy the Cultist skin I get nothing but uniques. Kaplan pls. so Blizzcon, the giant loot box, any guesses what's inside? As much as I want more figma announcements, I'm gonna guess a Reinhardt statue or NERF Overwatch guns. So I finally got a decent item from the event. Since I live in the past, that is easily my favorite skin. 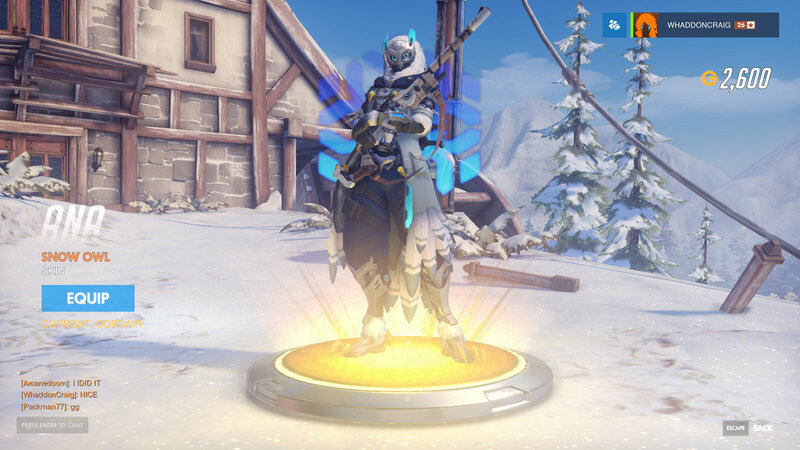 I didn't get any event skins early, and it kind of killed my motivation. Honestly, I was at least expecting an expansion of Junkenstein's Revenge. I hope this next year of Overwatch isn't us just rehashing old events. Summer Games and Halloween have been really lackluster in terms of giving us something actually new. Blizzard has got a basis to work on now, so that should in theory give them more time to actually complete new content. Let the hype begin. Should we talk about something first or what? Love the new Reinhardt short! Interesting to see David Bowie as an overwatch hero. In all seriousness, if Jeff is saying Moira is OP, we all have something to worry about. I was expecting some kind of Blizzard map, they’ve been teasing something like that for a while. and I NEED all the Legendary skins, they are amazing. 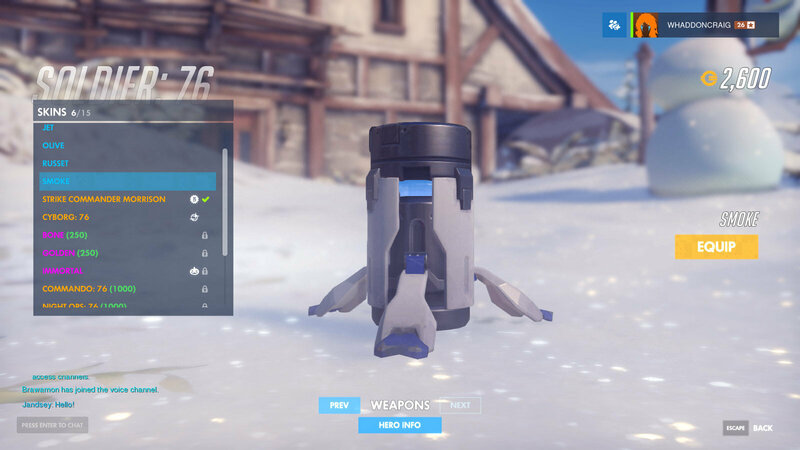 I'm getting Overwatch for Christmas! Woo! Definitely getting back to playing this just for that sweet skin. well guess what I got yesterday then. sorry, there be no way of trading skins. also I have one big complaint about Solider 76.
look at his biotic field.